This post picks up where the previous post, “The Origins of Payment for Penance” left off. Though Johnson is a Catholic, he’s honest with the history and his sources. 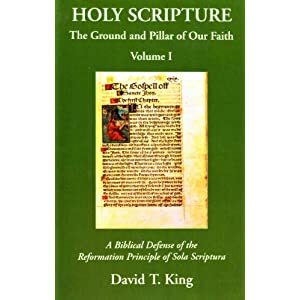 From the Protestant perspective, we always hear that Luther’s first shots in the Reformation had to do with “the abuse” of indulgences, but we need to remember where they came from, and how they were an affront to Christ’s blood in the first place. In this selection, Johnson summarizes the history of indulgences, from the 10th through the 15th centuries. The tie in with “indulgences for crusades” is important for reasons that later lead to the Inquisition. Once vicarial penance in any form was admitted, it proved impossible to keep money out of it. Was not alms-giving a form of penance? There, it was argued, the payment was to God, or to God’s servants to perform God’s purposes, and could not, therefore, be reprehensible. The Church at first opposed penitential alms-giving, too, as an easy way to heaven for a rich man. But it soon found justificatory texts: “The ransom of a man’s life are his riches (Proverbs 13:8); and ‘make unto yourselves friends of the mammon of unrighteousness, that when ye fail, they may receive you into everlasting habitations.” This last passage was particularly useful; it might almost have been framed by an ingenious canon lawyer for his professional purposes. Thus the penitential system was quite quickly transformed into a means whereby the wealth of the sinful rich could be diverted into ecclesiastical endowments. An early case was that of the Anglo Saxon Wulfin, who slew six priests; he went on a penitential trip to Rome, and was there told to endow a foundation for seven monks to pray for him for ever. Another case, from the tenth century, was Eadqulf, King Edgar’s Chancellor. He loved his little son so much that he had him sleep between himself and his wife; one night, both were drunk and the son was suffocated. Eadwulf proposed to walk to Rome as a barefoot pilgrim; but he was told to repair a church instead. The idea of ecclesiastical foundations as atonement for grievous sin became a striking feature of the tenth, eleventh and twelfth centuries. It explains why so many abbeys and priories were endowed by wicked men. Thus a period of pillage and lawlessness might also be characterized by a luxuriant crop of new monasteries, like the England of Stephen’s reign. The Cistercians were outstanding beneficiaries of this syndrome. A robber-baron might also, it is true, have to perform a physical penance himself; but we hear less and less of such after the twelfth century. The mechanical processes had taken over. And of course, its forms proliferated. In 1095, Urban II, propagating the First Crusade, laid it down that a crusade to the Holy Land was a substitute for any other penance, and entailed complete remission of sin. This, of course, involved an actual and hazardous crusade, and the privilege, or indulgence, was hedged about with careful qualifications and terrific penalties if a man reneged. Throughout the twelfth century, crusading was the only source of indulgences, except in rare individual cases. But of course it was always these rare individual cases (that is, the rich, the well placed, the smart cleric) which shipwrecked the principle. Early in the thirteenth century, Innocent III extended crusader indulgences to those who helped merely with money and advice. Fifty years later, Innocent IV awarded indulgences without any conditions of crusader service, naturally only in special circumstances. By the end of the thirteenth century, indulgences were being granted to secular princes for political reasons. Soon after, individuals were allowed to buy plenary indulgences from their confessors on their death-beds; this meant they could enter Heaven immediately, provided they died in a state of grace, immediately after full confession. In the first six months of 1344, Clement VI granted this privilege to two hundred people in England alone; it cost them less than ten shillings each. The Pope justified this by saying: “A pontiff should make his subjects happy.” By this time, the idea had already been extended to boost the pilgrimage trade to Rome. Boniface VIII gave a plenary indulgence to all confessed sinners who, in the course of the jubilee year 1300, and every hundredth year in the future, visited the churches o the Holy Apostles in Rome. In 1343, Clement VI reduced the period to every fifty years, remarking: “One drop of Christ’s blood would have sufficed for the redemption of the whole human race. Out of the abundant superfluity of Christ’s sacrifice, there has come a treasure which is not to be hidden in a napkin or buried on a field, but to be used. This treasure has been committed by God to his vicars on earth.” The period was reduced to a third of a century in 1389, to a quarter in 1470, and, from about 1400, extended to many local churches on special occasions. At this point the dam burst, and indulgences were sold on almost any ecclesiastical occasion for quite trivial sums; or, indeed, given away by indulgent or emotional popes. We have an eye-witness account of an occasion in 1476, when Sixtus IV, on the spur of the moment, gave plenaries to the Franciscan nuns of Foligno every time they confessed their sins. This, of course, was to destroy the idea of physical penance absolutely, and for ever. The cardinals who were with the Pope clamoured for the privilege too; and he generously awarded it. By this time, inflation was bringing the system into disrepute. Paul Johnson, History of Christianity, © 1976 Athenium, pgs. 232-233, emphasis added. What is the original source of this quote?